Identifier style shaped markers have high impact polystyrene casing. Enhances quality control with fewer repeat exams. Orange for "R" markers and Black for "L" markers. Since this item is personalized with initials, it is non-returnable. 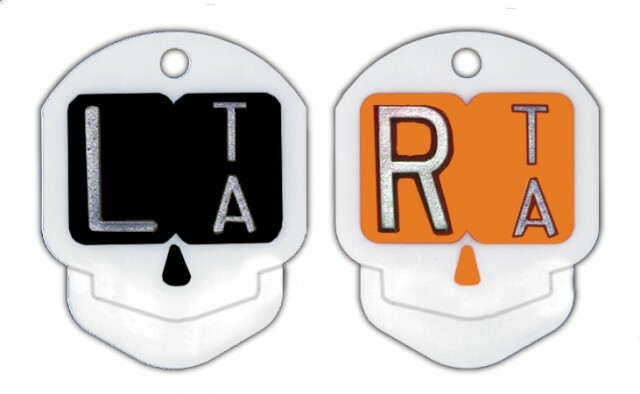 R & L is 5/8" , and comes with 2 initials 3/8"
"skull outline does not show up on film. Initials This field is limited to 3 characters. Each additional set of initials will result in a duplicate product, with the only difference being the new initials.